This two-floor expansion houses general pediatric beds as well as the hospital’s Pediatric Intensive Care Unit. 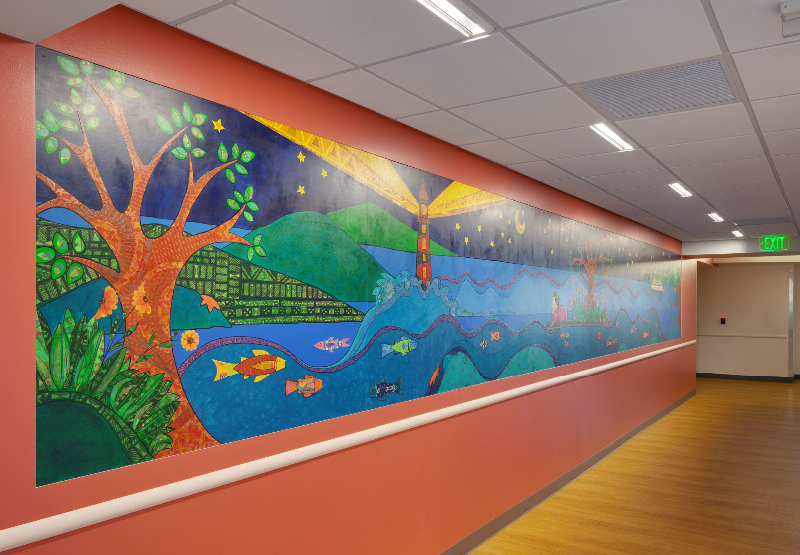 The expansion is a response to the demand for children’s healthcare in the South Puget Sound region and this new space will play a key role in providing quality care to children in the region that need inpatient care. Kimberly Kent Art Brokerage commissioned and installed locally crafted pieces from artists capturing the Puget Sound’s nautical wildlife. A collection of intricate and vibrant murals of mosaic glass and tile that are rich with detail and expression were created to evoke the natural beauty of the area. The framed art collection is made up of paintings and photographs by local artists who live nearby or work for Multicare.